Placido De Luca, born in Bronte on September 28, 1802 and died in Paris on November 1, 1861, was the first deputy of the City of Bronte (in the historical site of the House figure with the name of Pasquale Placido De Luca accompanied by a photo that portrays him with a long beard, see right). Person of great culture, was - as we write on another page of our site - a distinguished economist and an internationally renowned jurist, brother of Card. Antonino Saverio (Apostolic Nuncio of Pope Gregory XVI and Pius IX at the Court of Bavaria) Vienna). Author of important books on economic science and statistics he always advocated the principle of freedom of work and industry as a staunch defender. De Luca was one of the 443 deputies who on March 14, 1861, by unanimity of votes, proclaimed Vittorio Emanuele King of Italy, approving the law establishing the Kingdom of Italy and the birth of the nation. In fact, he was elected to the first Italian Parliament in the College of Regalbuto (which also included Bronte), with 334 votes out of 455 voters. 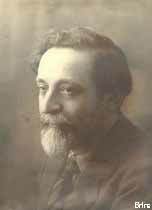 Francesco Cimbali (Bronte 1860 – 1930). Doctor, Mayor of Bronte in 1895, 1903 and 1914, Provincial Councilor and second brontese Deputy at Montecitorio (elected in 1893-95). Was the third of four brothers that reached high cultural levels in various fields: Enrico, (Bronte 1855 - 1887, lawyer and jurist); Giuseppe (1858-1924, jurist, philosopher and writer) and Eduardo (1862-1934, freelance journalist and professor of International Law). 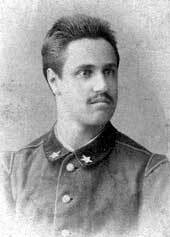 Started his studies in Bronte In The Capizzi College, continued them in the Spedalieri Secondary school In Catania, to graduate in Medicine at Naples in 1880. Soon begins to make well known his name with scientific articles in several magazines. It was a doctor in Florence and Rome (at the military hospital and to the Holy Spirit). In 1889, at the eve of obtaining the free teaching at the University Of Rome, he goes back to Bronte to cure the father Antonino (mayor of Bronte) struck by apoplexy. He remains in the native town and devotes himself to politics, militating in the democratic party. 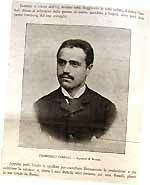 In the national elections of 1890, obtains in the second college of Catania, about the 80% of the suffrages (3.316 votes) but his election was not validated for juridical cavils. Was again elected deputy of the XIII legislature in 1893. He honored the mandate conferred to him making his voice heard in the heavy problems of the national life (made speeches about the military health service, the regime of the contests on university desks, the reform of the studies and the freedom of teaching). He protected also the interests of the little Council Of Bronte: against the servility of the Prefect and the Ministry Of The Interior towards the Dukedom, he presented also some interrogations "on the damaging slowness of the tutorial authority to order the urgent provisions of justice asked for by the Town Council". To pull up the needy from the claws of the usurers, in 1910 he founds the Popular Bank "Enrico Cimbali" of which was, for many years, also president. In 1914 was reelected Mayor Of Bronte (he had been already a mayor from 1903 to 1905) and Provincial adviser. Published the book "Political environment and reforms". He died in Bronte on February 26 of 1930. Francesco Cimbali, few years before his death, and his wife Maria Leanza, born in Bronte the 1st. of February 1858 from Sir Nicola and Lady Elisa­betta Grisley. Were married in the Ma­trice church the 26th. of November 1891. Vincenzo Saitta, lawyer and Member of Parliament was born in Bronte from Giuseppe and Luca Nunzia the 10th of Febbruary 1876. At the start of his political career, a very young lawyer was often municipal adviser of the socialist party, standing out as an attentive and meticulous defender for the rights of brontesi against the duchy, “Bronte’s problem” of that time, “What does it represent? – wrote the Catania’s weekly “IL Fuoco” (anno I, n. 6 of 23rd December 1909) - Only the conflict between the strength of the feudatory against the rights of the poor. Good for that country town in which a watchful sentry, an exemplary citizen, a man of heart, a truly upright and very clever man, could remain on guard and push forward a right that cannot be trampled on or tempered with. We are talking about the lawyer Vincenzo Saitta as much modest as valiant”. The young lawyer Saitta, in July of 1902, during a meeting in favour of the candidature to Lord Major of the honourable Francesco Cimbali was wishing that Bronte’s people could give a solemn lesson to the municipality’s masters allied to that squire, the Duke Nelson”. (La Gazzetta della Sera, Catania, 18th. July 1902. The lawyer Saitta had been also a provincial deputy (as they were called then) and, from 1921 to 1924, was the third Bronte’s Member of Parliament sitting in the Montecitorio Palace, when the Parliament was closed down after the Aventino’s affairs. In July 1943, with the entry to Bronte of the allied army, Vincenzo Saitta was nominated commissioner of the Municipality by the English general Alexander. He died in Catania the 1st of November 1957. 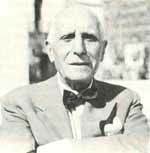 Luigi Castiglione, lawyer, born in Bronte in June 1881 and dead in Catania in June 1956. Was, as a very young man, municipal adviser in Bronte (the socialist party) and Deputy in Parliament. It was the third brontese deputy to Montecitorio; elected in 1948 to the parliament, he resigned in 1949 for health reasons. In 1947 it had been elected deputy of the Sicilian Regional Assembly. Gigi Castiglione, was a very acute frequenter of the Forum Of Catania of which he was a prince, to all the effects. He made of his profession an authentic point of contact between morals, culture and law, taking part in the most important processes that were celebrated in Catania. Extraordinary and ingenious criminal lawyer, was, for his hieratic and suffering aspect, defined "the apostle". And yet, during the judicial orations, he was showing a magnetic strength that sublimated the reasoning. Who knew him in person, remembers the very hard comparisons with Giovanni Albanese (another great criminal lawyer). Castiglione and Albanese often crossed their dialectic swords in a really memorable way. At that time the process was participated by the audience with an authentically emotional involvement with a passion almost disappeared today. He was writing a "History of Socialism in Sicily" when death reached him. "Tenor and siren voice" said about him his friends during the funereal commemoration. 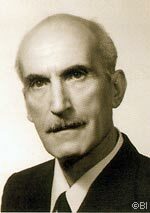 Biagio Pecorino (Bronte 1909 – Catania 1983) was a famous surgeon, chief physician to the Castiglione-Prestianni Hospital of Bronte and the Vittorio Emanuele Hospital of Catania. «I was 14 years old when I first met him - writes Ciraldo - He was middle aged, tall and thin, with a little moustache, a kindly glance and an expression of “Country Gentleman”. Excellent surgeon, head physician of the Hospital V.E. of Catania; “u dutturi” (the doctor) for his fellow citizens…. He had two sons, Vincent, hill since berth, and Augustine. A political leader of the MSI - continues Ciraldo - he was a rousing orator for being a very helpful person, very attentive towards the less fortunate.Privately he practised his profession in a clinic of Macalle street and then in San Vito street, at Catania. His was indeed a strange activity, as – specifies Ciraldo - either for friendship or for need, very few were the ones who paid for his services. And then, towards the end of the years ’60, his life changed radically. Following one another he lost his son Vincent and then, in a tragic car incident, Augustine, a young university student in medicine on who he had put all his hopes. His look faded away, his shoulders bended and only his political commitment let him continue to live. In addition to the many recognitions obtained during his fife, after his death, Bronte and Catania have dedicated to Biagio Pecorino two street names. Vito Bonsignore was born in Bronte in 1944, He studied in the Capizzi College and after getting a surveyor diploma he moved to Turin. After university he made a speedy career in the same city by becoming first technical manager and then general manager in the company managing the Torino- Piacenza highway. He has been also a managing director of the Turin-Milan highway. But then his love for politics prevailed over anything else. He was twice elected to Parliament with the Christian Democratic Party ( Andreotti’s current), and he also has been undersecretary in several governments. In the first Amato Government (XI Legislature, 28th June 1982-1993) he was undersecretary to Budget with economic planning with the Ministers Franco Reviglio (until 22nd -02-1993) and Beniamino Andreatta (from 21st -02-1993). During the 1st Ciampi Government (XI Legislature, 28th April 1993 - 16th April 1994) was (until the 14th -April 1993) undersecretary to Budget and economic planning with the Minister Luigi Spaventa. In 1993, when the Tangentopoli storm almost destroyed the entire Christian Democratic Party map, Bonsignore after being under investigation for the third time, the 13th of April resigned office of Undersecretary to Budget and went back to Turin as a full-time entrepreneur. But his passion for public administration was still there. Notwithstanding the bad memory of a conviction (without constitution of crime) continued to dedicated himself to politics. He has been a component of the executive committee of the CDU (Organizational and Electoral Coordinator) and amongst the founding members ( together with Rocco Buttiglione, Sergio D’Antoni, Marco Follini and others) of European Democracy. In 2002 takes part to the congress and is one of the founders of the new political subject UDC ( from the unification of three parties; CCD, CDU and DE). Today, a brilliant entrepreneur, has become a protagonist of national economic life and is becoming the third highway manager in Italy. “Vito Bonsignore munifico donò’” So is written on the large rose window of the Sacred Heart church. During the recent church’s remaking (1992), the windows were in fact donated by Vito Bonsignore to the College where he started his studies. Pino Firrarello was born on August 9th, 1939 in San Cono (Catania), but it is an adopted brontese to all effects: from a very young age has lived and worked in Bronte, began here the first steps in politics (militating in the Christian Democracy) here he lives and got married. Councilor, Deputy Mayor and Mayor of the Bronte Council, provincial secretary assistant of the DC of Catania and then deputy to the Sicilian Regional Assembly where was elected in the list of the DC, college of Catania, in the 10th legislature, with 42.903 preferential votes and subsequently, in the same college, with 59.633 preferential votes over 241.659 of list (percentage 24,67). As an alderman In the Regional Assembly he has covered many important tasks; he was also a member of 1st standing legislative Committee and some CEE Committee, vice-chairman of 3rd standing legislative Committee; president of 6th permanent legislative Committee. Was elected a Senator in the Acireale College.14 on April 21st, 1996 (XIII Senate legislature). Initially member of the group Christian Democratic Federation -- CDU (from May 12th, 1996 to January 16th, 2000); from January 17th, 2000 he belongs to the Forza Italia group. Has been a member of the fourth standing Committee (defense) from January 21st, 2000, of the eighth standing committee (public work, communications ) from May 30th, 1996 to January 20th, 2000, of the inquiry committee on the Mafia phenomenon from November 21st, 1996 to April 13th, 1999, of the inquiry committee on the waste disposal cycle from May 26th, 1997. Has always been intensely involved in legislative and productive activity presen­ting, as first signatory, or cooperating to numerous DDL (over 100) and intervening on more than 50 bills. Has presented personally, or with others, documents for the institution of parliamen­tary committees inquiring on the safety of the Italian railway system, on the crisis of the Ambrosian Bank, of the Naples Bank and the creditor banks of the "Ferruzzi Montedison" group, on the death of Don Giorgio Govoni, Bergamini and Ederoclide and, as first signatory, the DDL S.24 for the institution of a gaming house in the Town Council of Taormina. 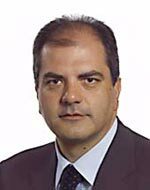 In the last national elections of May 13th, 2001 was reelected senator In the College 14 of Acireale in The House of Freedoms with a very large majority of votes (75.509 votes or 52,9 percent ). Proclaimed, on May 24th, 2001, senator in the current legislature [XIV] is member of the Forza Italia group and was elected, on June 6, Secretary to The Senate Chairmanship. From June 22nd, 2001 is also member of the IV standing committee (Defense). Has also published a book: "A Country Town of the South". In 2005 Pino Firrarello has again been elected Bronte’s lord Mayor during the administrative elections held in May, with the 58, 95% of votes. In the last national elections of the 9-10th. of April 2006 (voting with the proportional system without preferences) he was re-elected senator to Madame Palace for the third time in the Sicilian circumscription with the coalition of The House of Liberties. 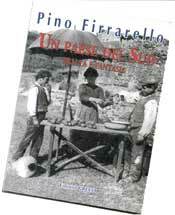 "Un paese del Sud, realtà e fantasia"
Journalist and publi­cist, Pino Firrarello has also published a book “A country town of the South - Reality and Fan­tasy”. The book, re­cently reprinted by the Greco Editions (Catania 2004), was written during the years ’60, when the political life of Pino Firrarelllo was only on the horizon. It is a “search of origins”, an essay on his native country town, San Cono, made through the memory and the stories of the old people of the town, a memory “between reality and fantasy”, as indicated in the title. «I did not want to write a novel, nor a history of a town, however the present work cannot be defined only a fruit of the fantasy, in that case, besides, surpassed by reality. They are personal experiences, discussions listened and held with the elderly. 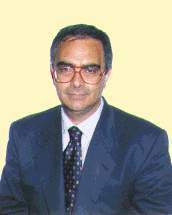 Salvatore Leanza, doctor in jurisprudence, entrepreneur, was born on September 20th, 1947, in Bronte, where was municipal adviser. Was elected in the XIth legislature to the Sicilian Regional Assembly, in the college of Catania, (list socialist unity -- PSI), with 40.197 preferential votes on 77.548 of list (percent 51,83). Already deputized of the 9nt and 10nt legislature, again elected in the PSI, respectively with 11.765 and 30.412 preferential votes. Vice-President of the Qantus (National Consortium for the promotion of good quality handicrafts) and component the Cer (Residential building committee) was member of the national meeting and the regional committee of the PSI, national president of the Cantus (National case for the social and cultural tourism) representing the Sicilian area. In the 9nt legislature, secretary of the socialist parliamentary Group, composing of 6 standing legislative Committee, and secretary of the legislative special Committee CEE. In the 10nt legislature, was regional Assessor for the cooperation ( 44th govern ), component of 6 standing legislative Committee, some CEE Committee and vice-president of 7 standing legislative Committee. In 11nt legislature was regional assessor for the public works (45th govern) and from June 2002 is Mayor of the Bronte Council. The Municipal elections of June 2002 saw his return to active politics and his unforeseen election to Bronte’s Lord Mayor with a coalition of leftist electoral rolls. Leanza’s mayoralty however, didn’t last very long: the Council, (where the opposition had 14 councillors out of 20), on the 23rd of October 2004, voted a motion of no confidence, (with 15 votes in favour), sending everybody home (Lord Mayor and Council) and Bronte’s inhabitants back to the polls. 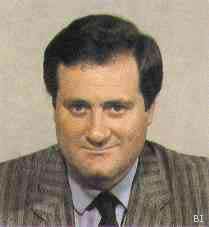 Nunzio Calanna, born in Bronte on July 6th, 1943, was deputized to the Sicilian Regional Assembly. Doctor in jurisprudence, in act he exercises the profession of criminal lawyer. Was elected in the list of the Socialist Party, college of Catania, with 2.246 preferential votes on 12.682 of list (percent 17,71). Was adviser to the regional province of Catania, member of the National Leadership Of The Socialist Party and President Of The Committee for the access to administrative documents (L.R. 10/91). To the area it was member of the Legislative Committee of the business of the CEE and vice-chairman of the Anti-mafia special Committee. In his parliamentary activity he was the first signatory of 7 Disegni di Legge, 19 parliamentary questions (one concerned the opening of a second post office in Bronte), 2 parliamentary interpellations and 1 agenda and - as co-signer - of 16 bills of law , 7 parliamentary questions, 1 interpellation, 5 motions and 22 agendas. At the last elections of the Sicilian Regional Assembly of June 24th, 2001 (XIII legislature) he presented himself on the lists of European Democracy and was not re-elected. A year later, in the municipal elections of May / June 2002, he presented himself as mayoral candidate of the center-right coalition: at the ballot, with 5.129 votes (45.26%), he lost the challenge with the center-left candidate, Salvatore Leanza. 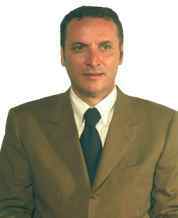 From May 2005 until March 2010 he held the position of Deputy Mayor (Giunta Firrarello). Franco Catania, deputized to the Sicilian Regional Assembly, is an entrepreneur, born in Bronte (Catania) the 1st of May, 1955. Young entrepreneur in the textile industry succeeded, in few years. to establish himself in the production of designer clothes for known national and international brands, assuring a job for hundreds of Bronte's young people. Elected in the XIIth legislature in the list of Forza Italia, College Of Catania, with 8.403 preferential votes on 109.835 of list (7,65 percent). Vice-chairman of 3 standing legislative Committee; member of 5 standing legislative Committee. In the last elections of the Sicilian Regional Assembly has been reelected to the ARS in the list of Forza Italia, College Of Catania, with 12.889 preferential votes June 24th, 2001 (XIIIth legislature). He was the most voted in Bronte with 2.153 votes. In this last legislature (XIIIth) it is enrolled on the Forza Italia group, is President Of The College Of The Deputed Heads (from 02/08/2001) and Legislative Member Of The V Committee for Culture, Formation and Work (from 07/08/2001). 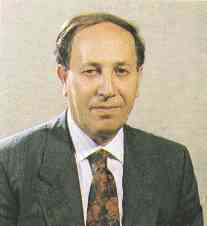 During April 2004 Franco Catania has left Forza Italia to join the coalition of Centre Left. In the successive elections of the 28th. of May 2006 he was not re-elected, getting only 6585 votes while in Bronte he was the most voted with 2269 votes. Deputized to the Sicilian Regional Meeting, Giuseppe Castiglione, born in Bronte on October 5th, 1963. Official manager of company, reviser of the accounts, journalist and publicist. He has had various experiences in the context of the community interventions, addressed to the small and middle-size companies and in the world of Associations and Catholic voluntary service. Was municipal adviser to Bronte, member of the management Committee and President Of The Committee Of The Guarantors Of The USL no. 39 of Bronte. National adviser of the A.I.C.C.R.E (Italian association councils and areas of Europe). Elected to the Regional Meeting in the list of the CDU, college of Catania, with 8.487 preferential votes on 52.611 of list ( 16,13 %). He was regional assessor of the 50th, the 51st and the 52nd Government, put in charge by the Industry Assessor-ship. reelected to the ARS in the list of Forza Italia, College Of Catania, with 18.023 preferential votes (record for only preference). He carried off 1.412 votes in Bronte. In the current legislature (XIII) it is registered on the Forza Italia group and was elected Regional Assessor for Agriculture and Forests. The last exceptional performance was his election to the European Parliament: in the last elections, (June 2004), the Sicilians sent him to Strasburg among the 78 Italian deputies to the European Parliament. 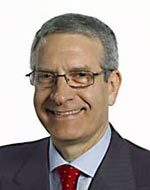 Elected in the constituency of Sardinia and Sicily, Giuseppe Castiglione, one of the 16 European parliamentarians of “Forza Italia”, took 94.051 votes. In the European Parliament he belongs to the group of the European Popular Party (Christian Democrats) and of the European Democrats: He is a Commission member for agriculture, public sanity and alimentary safety and is part of delegations for relations with Iran and the Popular Chinese Republic. Since January 2006 Giuseppe Castiglione had been nominated vice coordinator of Forza Italia in Sicily and Commissary of the party at Messina; In February he was also elected national vice-president of AICCRE (Italian Association of Council, Communes and Regions of Europe). 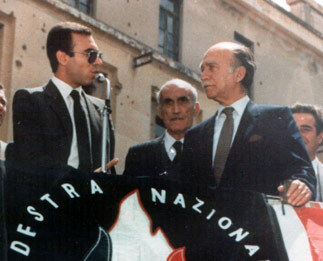 On the left, a photo of Giuseppe Casti­glione in 1985, a very young member of the USL N° 39 Committee.